Dustin DeTorres is the cofounder of Market Loyal in Orlando, FL. Their focus is reputation management, mobile marketing, content marketing, and his team focuses on strategy and design. He has 12 years of experience working with small- to medium-size business owners across the country! 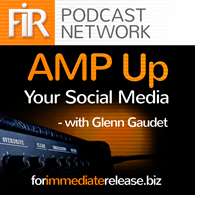 Dustin recently joined AMP UP Your Social Media’s host Glenn Gaudet to discuss social media marketing and reputation management. Utilize the correct review sites. Google yourself! 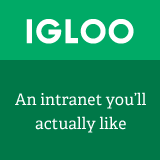 No, really – it’s a great way to find the directories that you’ve been rated on and to zero in on what you find important and relevant. Don’t ignore Facebook. While now Facebook reviews may not be driving customers your way, it’s a sleeping giant. We may see this trend turn around within the next year, so keep an eye on Facebook changes and evolve with it. Focus on review generation. Blogging and content marketing has its time and place, but many social media teams are overlooking review generation. While content is powerful, don’t drop the ball on your review strategy! Be active. Outside of major verticals (hotels, restaurants, etc), high-traffic businesses tend to be more aware of their online reviews. Plumbers, service-based business, and small companies tend to focus on their business as opposed to reviews. Try to allot resources, even if you’re a mom-n-pop joint, to review strategies. B2B companies can benefit more. B2B companies may have a smaller sample of people and may know their customers better. Thus, they may be able to gain more reviews from a smaller sample. Just because people don’t come to the location doesn’t mean the customer isn’t Google’ing reviews. Be aware. With a variety of free tools to track reviews and comments on social media, there’s really no excuse to not being aware of what’s being said about you. Respond and interact with reviews to show that you like to engage with customers! Dustin would love to hear from you! Chat with him on Twitter or connect with him on LinkedIn. You can also visit his website at http://www.marketloyal.com. Hailing from Orlando, FL, Dustin’s life passion is social media marketing. While he operates out of Orlando, his company is labeled ‘hyper-local’, and he’s willing to work with just about anyone with a need for improving their reputation. Give him a call if you’re in the area, and he’d love to grab a coffee and discuss your plans.